Browsing articles tagged with " hand pain"
What is Scaphoid Fracture of the Wrist? A scaphoid fracture is a break in a small bone on the thumb side of your wrist. Your scaphoid bone is the most fragile ones to be broken. It is important to find out if you have a scaphoid fracture because scaphoid fractures need treatment to heal well. Without proper treatment, healing can be slow and difficult because parts of the scaphoid bone do not have a good blood supply. De Quervain’s tenosynovitis is inflammation of tendons on the side of the wrist at the base of the thumb. 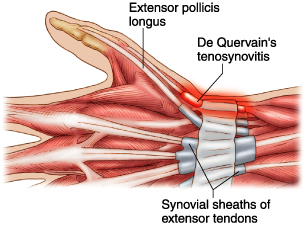 De Quervain’s tenosynovitis can be brought on by simple strain injury to the extensor pollicus longus tendon. Self-Diagnose can bring more harm than treating it. It is good to know more about the injury but definitely not to the point of self-treatment. It will be much safer to get treated by Our Doctor, for more information or to book an appointment with Singapore Sports and Orthopaedic Clinic, you can call (+65) 6475 8011 , the hotline is open 24 hours. You may also send us an enquiry for appointment. What is Ulnar Collateral Ligament Injury? Ulnar Collateral Ligament Injury sometime also known as Gamekeeper’s Thumb, is when there is force that pull the thumb away from the hand which causes damage to the thumb’s liganment. 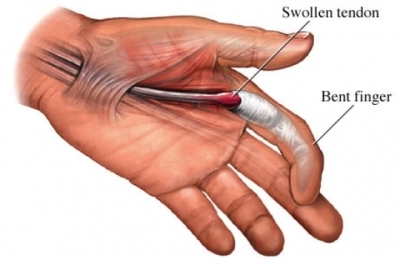 Thus making the thumb very unstable, if one of the liganment got pulled away from the thumb and folds backwards, it will not heal in the correct position. Self-Diagnose can bring more harm than treating it. It is good to know more about the injury but definitely not to the point of self-treatment. It will be much safer to get treated by Our Doctor, for more information or to book an appointment with Singapore Sports and Orthopaedic Clinic, you can call (+65) 6471 2691, the hotline is open 24 hours. You may also send us an enquiry for appointment. Trigger Finger is a common problem that causes pain and snapping of the tendons in the fingers. The problem that occurs in a patient who has trigger finger is due to the tendons of the fingers. 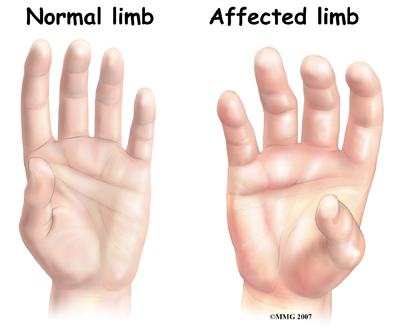 Reflex Sympathetic Dystrophy sometime also known as Complex regional pain syndrome (CRPS) is a condition of intense burning pain, stiffness, swelling, and discoloration that most often affects the hands. Three to six month of burning, flushing, blanching, sweating, swelling, pain, and tenderness. This stage can show early x- ray changes of patchy bone thinning. Loss of motion and function of the involved hand or foot with contracture (flexed scarring process), thinning of the fatty layers under the skin. X-ray can show significant osteoporosis.